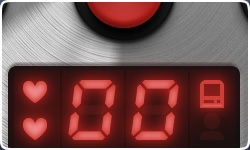 A vintage memory challenge inspired by a famous 80’s electronic game*, now for iOS devices. Who has the greatest memory? Who can tap it faster? iMimic is universal binary. The same app runs on iPod touch, iPhones and iPads – with crystal sharp graphics. NEW!! Play up to level 99! 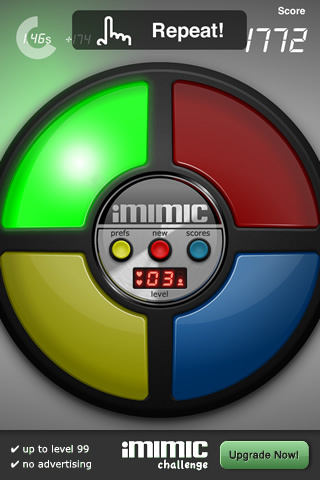 * iMimic is not endorsed by or affiliated with Milton Bradley’s Simon game.